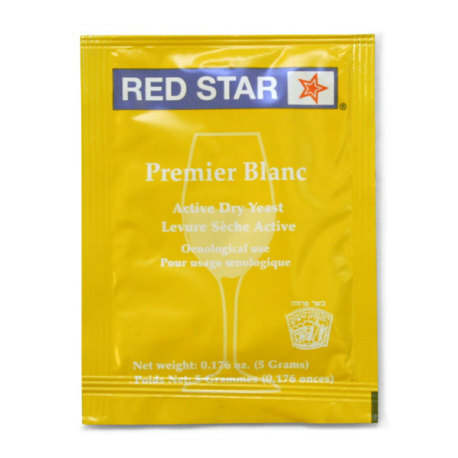 Premier Blanc (formerly Pasteur Champagne) is one of the best strains to avoid sluggish fermentation and to restart stuck fermentations with residual sugars, thanks to its ability to assimilate fructose and to resist to alcohol. Helps to confer body and roundness to wines, and promotes the development of fresh and clean aromas. Well suited yeast for Cabernet, Cider, Dry Whites, Fruits, Meads, and Port.